Our office is gearing up for a very cool 2020 promotional campaign. In a conversation with a wonderful patient and professional associated with this campaign, he asked what the eye version of “20/20” meant. This is a common question posed to eye care providers. As many people well know, 20/20 is often thought to mean someone has normal vision. Without going into the exact physics or geometrical optics, the term 20/20 means that the person being tested at 20 feet, can see what a person with normal vision also sees at 20 feet. To think or conceptualize it another way, if your uncorrected vision is 20/400, that means that you see at 20 feet what a person with normal vision can see at 400 feet. 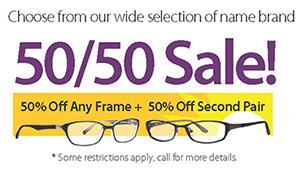 Luckily, assuming no eye health issues, your eye doctor can correct your vision to 20/20 with eyeglasses or contacts. If you are one of those lucky patients who has better than average vision, you may have been told you have 20/15 or 20/10 vision. The measurement of vision correction comes from a chart created by a Dutch eye doctor, Herman Snellen in 1862! Dr. Snellen developed a very helpful chart called the Snellen Acuity chart. Most of you may recognize it as that chart with the big “E” on the top. Interestingly, in very raw form, spectacle glasses themselves were invented reportedly, sometime around the 1280’s. 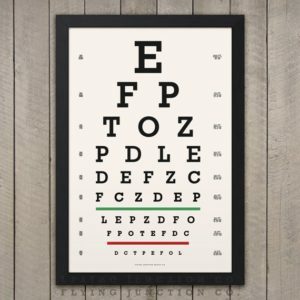 But since the invention of the Snellen chart, a standard was created that would give reference to “normal vision” and also provide a method to gauge a person’s vision. However, as we preach to many of our patients, 20/20 visual acuity does not mean complete or excellent eye health. Unfortunately, some patients have developing eye health problems but still have quantifiable “normal” 20/20 vision. For example, a patient seen on emergency for floaters tested with 20/20 vision in the eye with the annoying floater. However, this same patient had a developing tear and slight bleeding in the retina (the light detecting tissue in the back of eye). Because she was diligent in getting to the office for a thorough dilated exam, her vision was saved through quick treatment and still has 20/20 corrected vision. Clearly, with not calling and not being seen so quickly, this retinal problem could have evolved to a more severe problem and possible vision loss. Note: A dilated exam is one where drops are used to open the pupil and see in back of eye to the retina. Another wonderful patient who came to our office was very happy to have his vision corrected to 20/20 vision with bifocal contact lenses. However, through his exam, we also detected that he had Glaucoma. This is an eye disease often without symptoms but which left untreated, can cause serious eye issues and even possible vision loss. This patient was new to the office and quite shocked to learn that he had glaucoma. But he was thankful to know so that he could start treatment to prevent any vision loss. 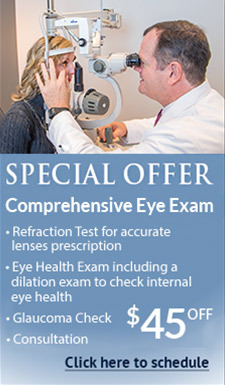 So what about those patients that do not easily correct to 20/20 vision? There are many reasons. Some of those include, but are not limited to, cataracts (a clouding of the lens of the eye), or macular disease, an eye infection or inflammation, or even other body health issues that could affect a person’s vision. Although Dr. Snellen and his famous Snellen Acuity chart has helped greatly in eye care, it cannot test the health of your eyes. Simple things like depth perception and color vision issues cannot be found using this chart. Eye health issues like the health of the retina, excessive eye pressure, or many other eye health problems are also not detectable by using this chart. So, in addition to knowing you have great vision, you should also want to make sure you have great eye health, and that can be accomplished through a thorough eye examination …. And there is no better time than now to have your eyes checked.